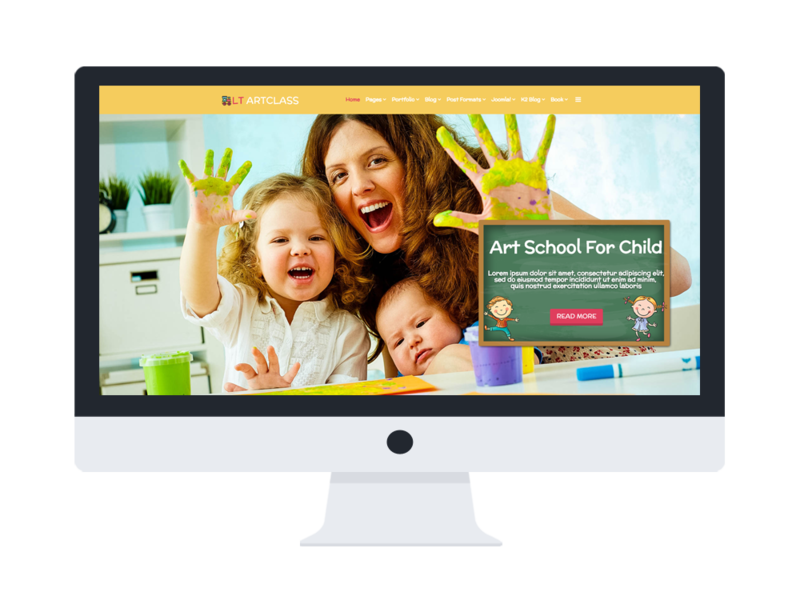 LT ArtClass Onepage is single page version of LT ArtClass Joomla template. 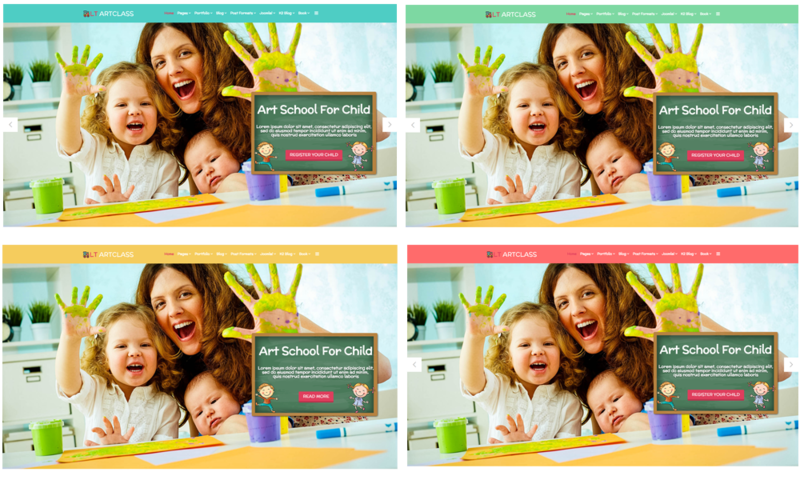 This Joomla Art School website template comes with high-quality images, flexible sliders in eye-catching animation effects, which attracts any visitors’ eyes in the first time they arrive your site. Besides, LT Artclass Onepage provides you with many content ideas, so you can easily introduce all of your centre information such as school history, highlight activities, to visitors in an efficient and beautiful way, all you just need to do is replacing the content! Developed with the latest web technologies, equipped with drag drop tools, 4 color styles with color settings, this amazing theme is always ready for you to customize, with less effort ever! 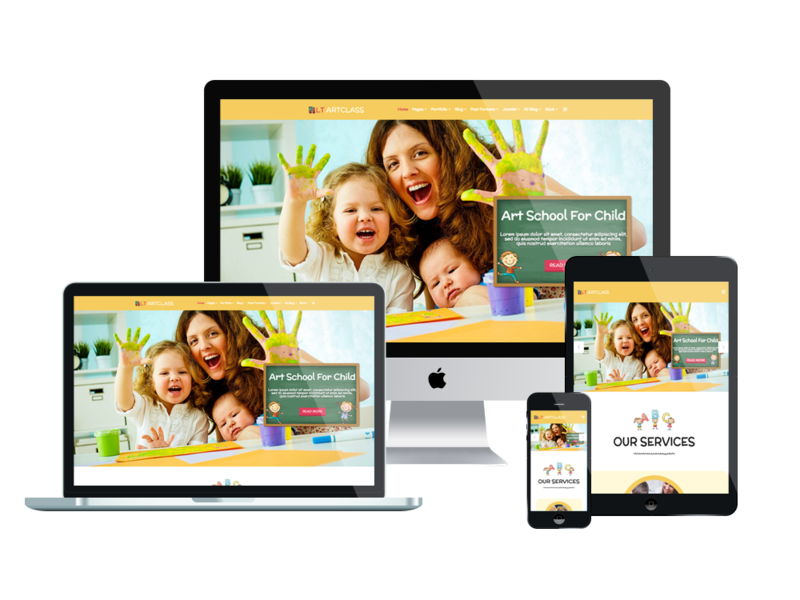 Moreover, mobile users can access to your site and view it in gorgeous and fully responsive layout, every part of content will be displayed in the best way possible. 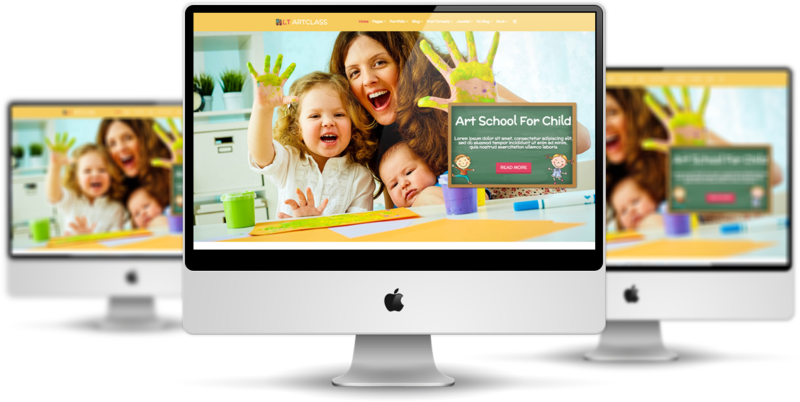 It’s time to draw more visitors attentions with this powerful Joomla Art School website template!